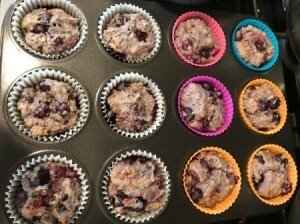 Berry muffins are a classic! 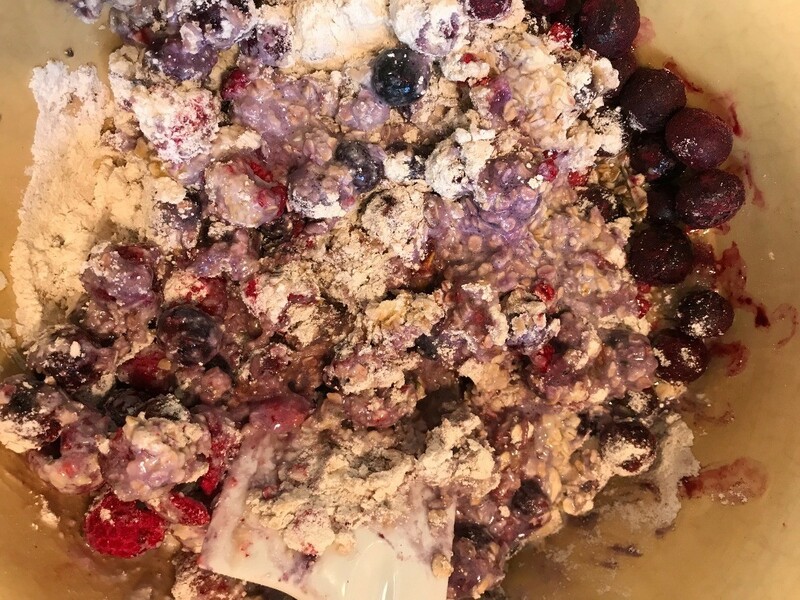 This quick delicious muffin is the perfect recipe to make for your family. This page contains a berry muffin recipe. 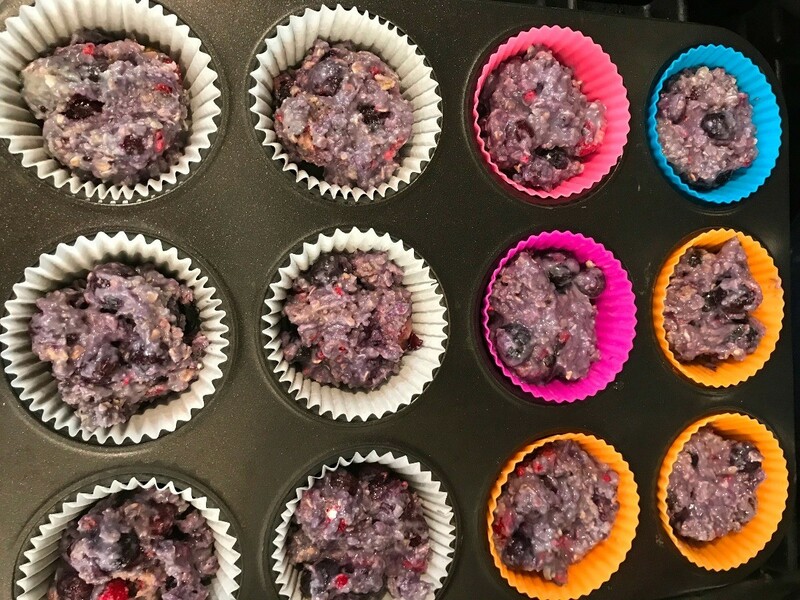 This is a quick, healthier alternative muffins, that is kid approved! Perfect portion size to have a scoop of vanilla ice cream on the side, too. 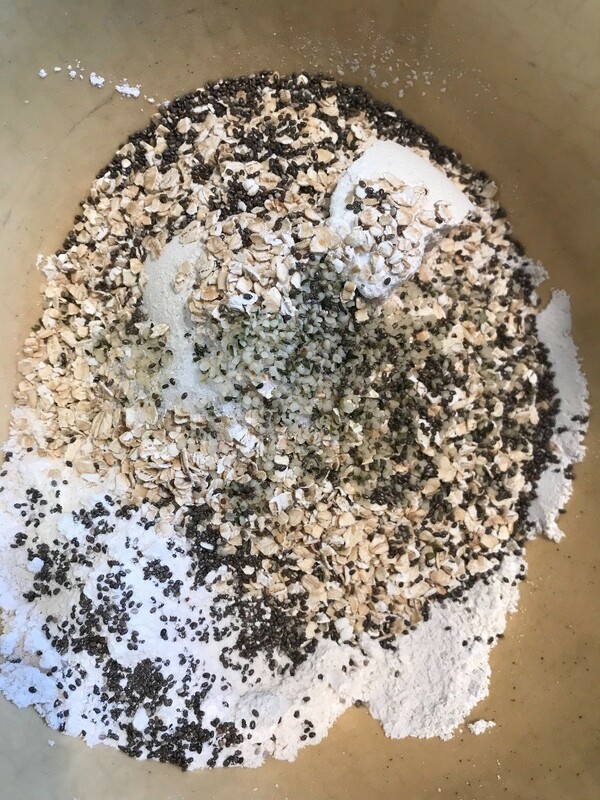 In a bowl, add your dried ingredients. Add vanilla extract, milk, oil and egg. 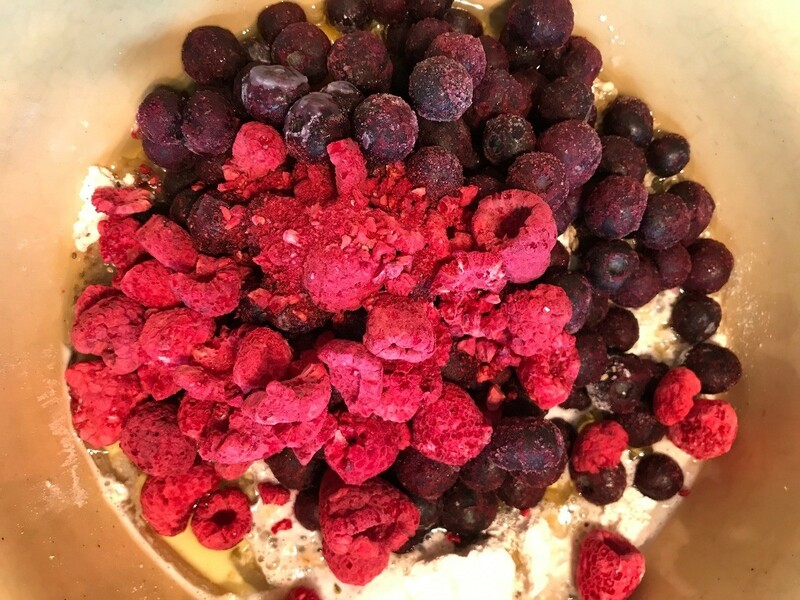 Add your choice of berries. Mix with a spatula. 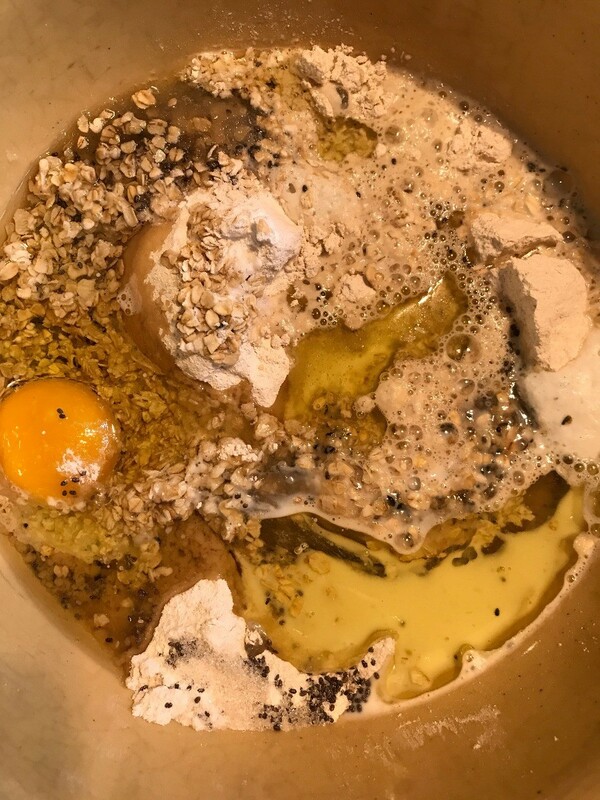 Mix gently until you get the consistency like below. 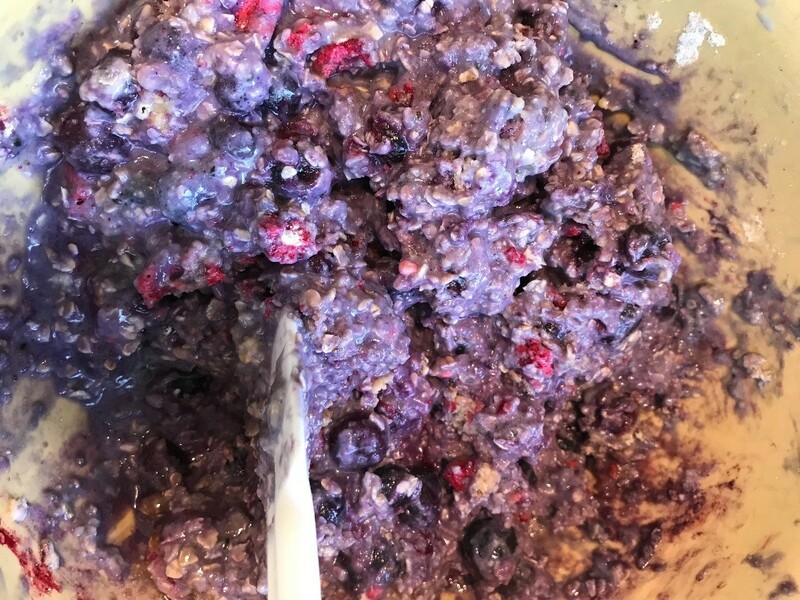 You do not want to mix roughly because the berries can mush. Preheat your oven to 350 degrees F and bake for about 20 minutes, or until done. Do you mean whole wheat pastry flour? This is all I can find. Thanks! I only had white wheat pastry flour but yes whole wheat pastry flour works better. Thank you! Making them today!